I hope you are having a great day! I have a thank you card today that I made for a cousin who was helping us design our landscaping. I started out by stamping the tree and then cutting a circle with masking paper to cover it up. Then I used another piece of masking paper to cover up the bottom portion for the grass. I blended the sky colors with distress inks and then moved the masking paper to the top portion so that I could color the grass. The sentiment was stamped with versafine and then embossed with clear EP. Love your blending Cheryl and the way you showcased the tree! 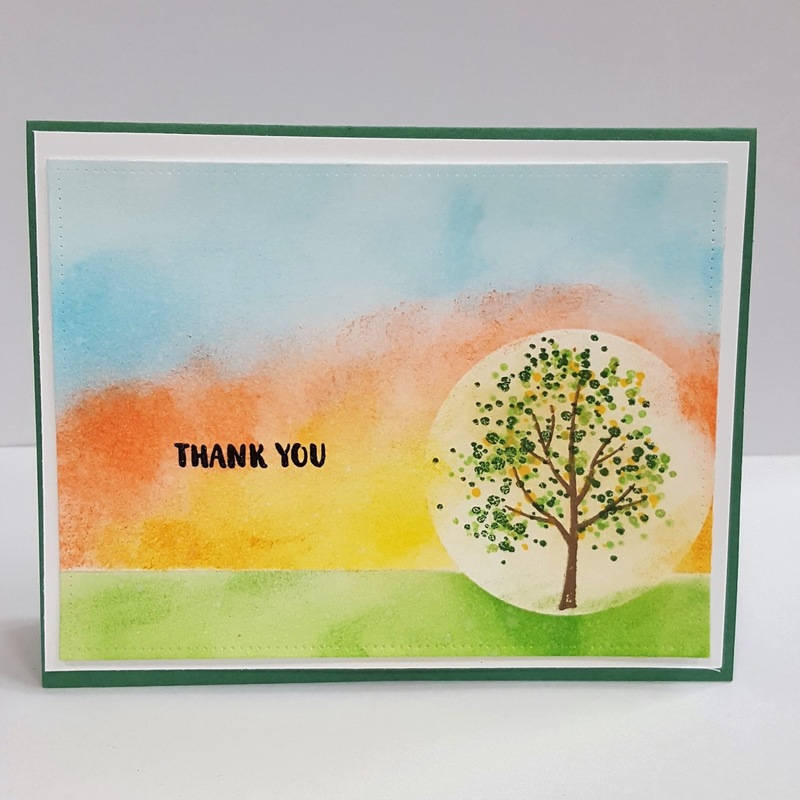 Such a great personal card as you related to to the task you are thanking him for! Thanks for sharing your talents with us at Just Us Girls! Very pretty. Thanks for joining the challenge at Little Red Wagon this week.